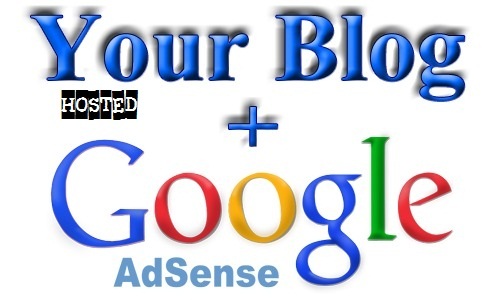 I found a lot of people of the internet who are dying to have a publisher account on Adsense. Many people work very hard for weeks, months or even for years for the sake of satisfying google and complying their website with Google Adsense Policies. But, do you know what after all those efforts? In most of cases, adsense deny your application and refuse to give you a publisher account of adsense. 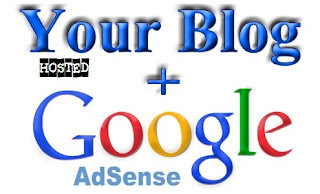 I've found a simple solution over the Internet for all of the adsense lovers. And this solution is "Hosted Adsense account". I'm sure most people will be thinking that what in the universe is Hosted Adsense Account? So I am going to share some key-features of Hosted Adsense Account which will let you to understand about this account and you will be able to differentiate between Standar Adsense Account (or Full Approved Adsense Account) and Hosted Adsense Account. A hosted adsense account is one which you get approved on your youtube channel. Google allows you to publish ads on your youtube channel videos through Hosted Adsense Account. And in return you get a percentage of earning through the ads on your videos. You can't earn the whole amount of clicks and views of ads on your videos. In-fact Youtube keeps some shares for themselves and give the remaining percentage of earning to you. 2. Subdomain Blog or Website of your own (the blog having subdomain address and you must have owner rights on the blog). To create a Hosted Adsense Account (specially from Pakistan) you just have to follow some of the simple steps mentioned below. Those steps are so simple that even a kid follow these. 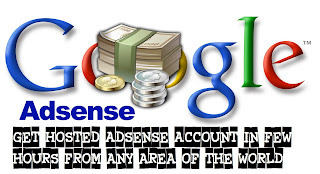 So have a look at the procedure of creating a hosted adsense account. A new window will open click on the "Enable My Account"
Now an agreement form will appear, accept the agreement form. Now your Monetization is enabled. Now again go to My channel settings. Under the My channel Settings you will see monetization tab after feature tab. Now click on it and a window will open there find the option "How will I be Paid" open that option. After clicking on option, a description will appear there you will find a link covered with "Asociate an Adsense Account. Now in next window click on Next and now Fill the Adsense Form for your self and fill correct Infromation. After filling all the Information click on submit and a new window will open and it will say that your information is sent within a week you will receive an confirmation email, it will only take 2 hours to make it so you don't need to waste. Now that's all just wait for the right time means,just check out after 2 hours or 3 hours you will get an approved Adsense Hosted Account, Enjoy Adsense. if you still feel an query then you can contact us by contacting from contact from below or just leave a comment, comments and questions are appreciated. Thank, for sharing free of cost. 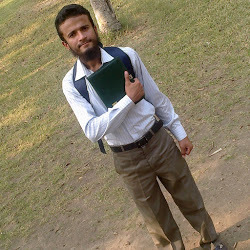 That's all my Pleasure Dear @Ghulam Murtaza. So this is not possible for top level domain blogs? Ads will not appear on Top Level Domains if your account is hosted. You will have to create a new Gmail account before applying for a new hosted adsense account. Please don't post spam comments here. We are "Getting rid of spam".